Perhaps the most telling acknowledgement takes the form of thousands upon thousands of complete, 100% refunds of every penny withheld or paid-in in connection with the income tax—Social Security and Medicare taxes included. These most concrete of admissions have been being made by federal and state tax authorities steadily for years and years now to those who know the liberating truth about the tax. Budget some time. You're in for a long mind-boggle. Learning the truth about the tax-- along with how it works, how it can be misapplied, and what can and should be done when that has happened is the only way to stop being an exploited victim of a decades-old scheme that is a national disgrace. More importantly, learning that truth transforms helpless victims into powerful, responsible, grown-up citizens of the Constitutionally-limited American republic that the Founders of this great country established for themselves and their posterity. I say "responsible, grown-up citizens" very deliberately. One of the key mechanisms deployed in the federal Constitution to ensure that what the Founders recognized as "a dangerous servant and terrible master" stayed within its intended limits was putting control over how much wealth the government could take directly from the citizenry entirely in the hands of each individual American. The Constitutional design relies upon each American being a responsible grown-up and using this control to keep our servant government on the leash and obedient to the fundamental law. This Constitutional-control mechanism remains fully intact (the 16th Amendment notwithstanding), and all income-tax-related federal and state laws conform to that mechanism and its purpose faithfully and precisely. The only thing lacking is you doing your part. The reason this all seems fantastic is that there has been a massive campaign of disinformation in place for decades designed to convince you that back in 1913, the American population got drunk one night and undid the Constitutional structure of strict limits on federal taxing power (and thus ALL federal power) that had brought this country to the very pinnacle of wealth and personal freedom in all of world history. As ludicrous as it sounds when actually said, the myth declares that the elite, or the working class, or both together, somehow got it into their collective mind to unleash the junk-yard dog of government and authorize it to take anything or everything from anybody who earned it, whenever any given cabal of political hacks in Washington or a statehouse chose to do so. To learn the REAL story, read Cracking the Code (also known as 'CtC'). 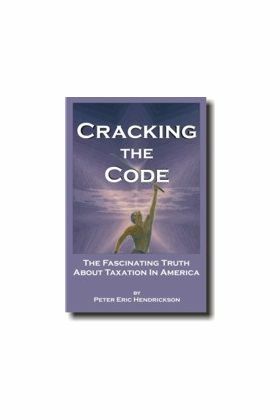 In that book you'll learn the truth about the 16th Amendment, and the truth about the tax-- including how the myths about both are used against the unwary. "Thank you so much for your exquisitely documented and beautifully written Cracking the Code- "This book is a masterpiece of analysis, clarity and revelation." After receiving CtC I read it in a day or two (every spare minute I could get). 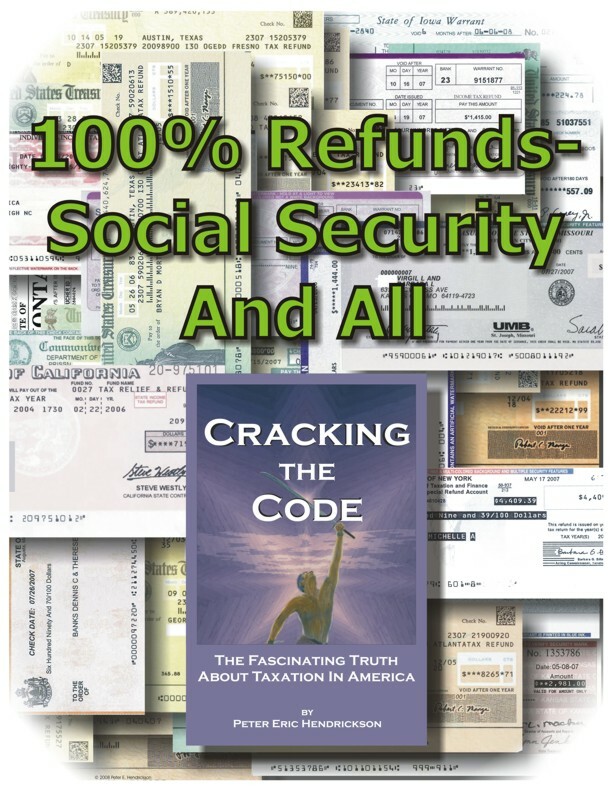 It is the best book-- the best material-- I have read yet on the income tax issue." "Thank you for your research and your great book..."
"I want to express my congratulations and my gratitude for such an exhaustive and thorough work as Cracking the Code". "[I found it] extraordinarily enlightening."